NIT Rourkela recruitment 2018 notification has been released on official website www.nitrkl.ac.in for the recruitment of total 07 (seven) jobs out of which 01 (one) vacancy for Research Associate, 01 (one) for Research Assistant & 05 (five) for Field Investigators vacancies. Walk-in-Interview 10th January 2018. Here on this page you will get the details like the Name of vacancies released by NIT Rourkela with exact number of posts. 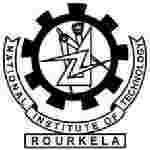 Some other criteria like Education details, application fee and way to apply application for NIT Rourkela recruitment 2018. Educational Qualification: MBA, MA (Eco, Stat, Sociology, Anthropology, Social Works, Rural Development) for S.no-1. BA (Eco, Stat, Sociology, Anthropology, Social Works, Rural Development) for S.no – 2. BA / B.Com / B.Sc for S.no – 3. Interested and eligible aspirants may appear for Interview in application along with the original & attested photo copies of certificates at the time of interview.